Are legacy systems based on Primary Rate Interface (PRI) obsolete? While many businesses have made the switch to cloud communications with Voice-over-IP (VoIP) or Unified Communications as a Service (UCaaS), PRI is a reliable and well-established technology. PRI transmission protocols have successfully supported voice calling for over 40 years, but they're also being phased out by major vendors. Is PRI still a viable solution for telecom? For a small percentage of businesses and some particular use cases, PRI could be the right choice. However, business adoption of alternatives is quickly reaching the tipping point. By 2020, over half of organizations will use UCaaS, according to BroadSoft. 95% of leaders believe cloud-based collaboration is a significant business opportunity. The growth of UCaaS adoption has created seismic shifts in the telecom marketplace recently. Some major phone system manufacturers have announced end-of-life plans for PRI products between 2020 and 2025. Major vendors have announced they will no longer maintain copper network resources, including AT&T and Verizon. Cloud communication tools are a better choice than PRI for most businesses, but your organization could be the exception. The right business communications strategy for your business could involve PRI telecom or a hybrid deployment of legacy and cloud tools. Read on to learn when PRI might be right for business phone service and how to find the best provider for your needs. Expert support is necessary for most businesses to maintain a high-performing Integrated Services Digital Network (ISDN) for a PRI infrastructure. PRI requires hardware and physical building infrastructure to support data transmissions over copper. 2020 will be the last year to purchase new PRI equipment from some major vendors who plan to cease support within several years. Your business phone system won't necessarily stop working on January 1, 2025, if you have a legacy PRI system offered by vendors who are ceasing support. PRI equipment and infrastructure won't suddenly evaporate overnight, but there will be few resources and diminishing infrastructure quality. If you do decide to retain PRI investments, an experienced, responsive, and knowledgeable solutions provider is critical. Before you start searching for telecom companies who support PRI and ISDN, make sure you're confident in how well you understand the technology, alternatives, benefits, and trade-offs. What Is PRI In Telecom? ISDN PRI technology is a traditional approach to business voice based on the PRI protocol for transmissions. Enterprise deployments of PRI require physical copper cabling infrastructure and hardware components to transmit call data over copper phone networks. Each PRI Circuit hardware component supports 23 voice channels (PCM) with a 24th channel dedicated to call-related data. PRI systems transmit voice calls as electrical pulses using traditional telecommunications vendor resources. Successfully scaling a legacy PRI phone system requires businesses to purchase hardware components and contract with a telecom provider to install cabling, upgrade the infrastructure, or add lines. Before IP-based phone technologies reached maturity, PRI was often the best way for businesses to deploy a premises-based solution for landline calls. Companies were able to provide high-quality voice services and achieve better reliability by purchasing redundant PRI circuit hardware for failover. Today, businesses can choose between PRI and alternative approaches to deploying IP-based phone service on-premises or in the cloud, including physical SIP trunking, virtual SIP trunking, or UCaaS. Cloud communications have a lower TCO than PRI and offer businesses the advantage of purchasing voice services by channel and access to multimedia features. Discover more PRI alternatives in SIP Trunking vs. Hosted PBX. When PRI and IP phone systems are compared based on factors of cost, security, flexibility, and reliability, cloud business phones are the clear winner for most organizations. The lifetime ownership costs of IP-based phones are lower than complex PRI technology. Cloud services deployed securely over fiber are more secure than traditional telephone networks and offer better protection against weather and interference risks. Finally, cloud services scale in real-time based on a business' need without having to install physical infrastructure or purchase new PRI circuits. There are several use cases which can tip the scales toward PRI for some businesses, however. PRI could be the better choice if your company is unable to afford a switch to VoIP in the immediate term, lacks adequate bandwidth, or wants to realize investment value. If your business has recently invested in infrastructure upgrades and hardware components for an ISDN PRI phone system, you may have a case to delay switching until you realize the value of your current investment. Organizations with limited access to fiber-optic internet connectivity and minimal need for multimedia communication tools may not need to upgrade immediately. If your business needs additional voice channel capabilities but can’t afford to pay for a full migration to cloud communication tools, you may be best served by a hybrid phone system deployment which integrates PRI and UCaaS by adding cloud voice channels to your existing infrastructure. Industries with strong continuity requirements, such as healthcare or education, may perform a hybrid deployment to keep several analog phone lines for failover. PRI resources could also be used to extend phoneline service to elevators, alarm systems, or intercom hardware. PRI is rarely the most viable choice, but it's not entirely obsolete. Businesses who use PRI will have few opportunities to purchase additional circuits in less than a year. Switching to IP-based phone systems is likely inevitable for most companies, but you may be able to justify waiting several years before upgrading. If you fit one of these use cases, evaluate whether a hybrid deployment of PRI and IP-based phones is the right way to scale voice communications. Before you decide how to proceed, see how you stack up to cloud readiness criteria in What Are the Business Requirements for Unified Communications? Many businesses realize a switch from PRI to IP-based phone technologies is inevitable. However, companies with legacy PRI deployments frequently have questions about when this switch should occur. The optimal time to migrate to SIP varies between organizations, but there are several factors which can determine if a business can successfully sunset your PRI circuits. SIP is a data transmission standard which can support voice, SMS, and video packets in a UCaaS deployment. SIP solutions offered by different vendors may not be interoperable with current hardware, or even IP telephony components from other vendors. Before you migrate to SIP, consider how it could impact your infrastructure. Migrating to SIP trunking requires businesses to update call switches with new carrier information and caller ID data. Failure to upgrade all switches can disrupt voice channel availability. Don't proceed without a continuity plan to address risks and relay all needed data to your new carrier. Local exchange carriers generally have a Central Office Exchange Service (Centrex) to support PRI. Centrex technologies provide phone companies with private branch exchange (PBX) capabilities. Fortunately, terminating service with your local carrier doesn't require businesses to purchase a premises-based PBX system. SIP offers access to a fully managed, cloud-based PBX. Traditional telecom carriers generally offer Signaling System 7 (SS7) capabilities to PRI users, which is an automated approach to initiating and terminating calls between voice channels. SIP solutions rely on Session Border Controllers (SBCs) to establish and route calls. SBCs can also permit or deny call sessions based on user-defined criteria, like no international calling. Ensure your SIP provider offers cloud-based access to SBCs, and if needed, the ability to control call criteria. SIP expands the voice-only capabilities of PRI into true data convergence. Businesses who adopt SIP can access new functionality and apps within the hosted PBX service, including chat, SMS, video, mobility, and unified message inboxes. If your business needs rich multimedia communications capabilities to improve business processes, you likely have a clear use case for SIP. Create a plan to roll-out new communications capabilities to your business and establish metrics to track key performance indicators (KPIs) such as performance, adoption, and satisfaction. PRI circuits segregated the voice channel from other forms of business communication. Voice calls could only be performed on a desktop phone. SIP blends phone service with multimedia cloud communications which can be accessed from softphones, smartphones, laptops, and tablets. If your business is already using applications for multimedia communications such as screen sharing or video conferencing, you may be ready for SIP. Evaluate your readiness for an IP-based phone system migration in 6 Things to Know About Migrating from PRI to SIP. Switching to SIP allows businesses to access cost-effective, flexible cloud communication tools with minimal hardware investment. A successful SIP deployment requires IP connectivity, a cloud PBX, and a border element, or gateway device. While a SIP trunk may sound bulky, it's just a set of transmission protocols which treat voice calls like any other form of network data. SIP can offer significant benefits to businesses switching from PRI, many of which are immediately apparent. The average company who switches from analog phones to SIP saves 50% on business phone service each month. The cost savings can be significant if you perform a great deal of long distance or international calling. PRI hardware and infrastructure are costly. It can take several years before businesses pay off an initial PRI investment. SIP offers immediate access to return on investment (ROI) due to minimal cost of entry. SIP can seamlessly extend a centrally managed solution for voice and data across multiple business locations and remote workers. SIP is mobile-optimized and easy to scale, which enables business agility to grow or explore new business models. SIP can transition businesses to UCaaS by providing the capability to support a variety of cloud communication tools. With a vendor who offers a robust UCaaS solution and fiber internet, your business can future-proof communication systems and unlock the benefits of unified cloud communications. SIP services often provide flexible, user-friendly VoIP apps for mobile devices. Employees can communicate from the same phone line on mobile or desktop. SIP allows businesses to perform voice calling through secure network data transmissions. Consolidating voice and data into a single network can reduce costs and improve reliability. SIP has minimal hardware requirements to scale systems. Adding a new phone line simply requires scaling your service up and connecting an IP-compatible handset to data. SIP capabilities can be remotely provisioned without a need for an on-site visit from a service technician. Copper cabling used for PRI can be disrupted by inclement weather, accidental damage, vandalism, moisture, electromagnetic interference, and radio interference. Copper cable isn't fully reliable, and risks are likely to decrease as many carriers stop performing maintenance activities on public telephone network resources. SIP is highly reliable, especially with fiber and redundant network capabilities. In case of disaster, you won't be left waiting for a service tech. Mobile failover capabilities can automate continuous communications. PRI deployments required businesses to juggle several relationships with vendors, including a local carrier, an equipment manufacturer, and telco providers who could service PRI circuits. SIP is powered by a single vendor relationship and simplifies on-site management capabilities. Simple management portals allow IT to remotely optimize call routing, extensions, or add phone lines in real-time. 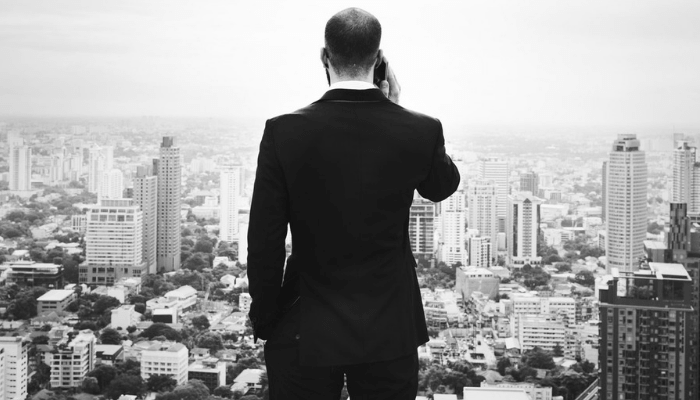 Finding the best telecommunications vendor is a necessity, regardless of whether your business plans to retain PRI resources for the immediate future, switch entirely to cloud phone service, or pursue a hybrid deployment. However, choosing a telecommunications vendor for SIP or UCaaS in the DC metro area can be daunting, due to extensive choice. First and foremost, you want to ensure a prospective telecommunications provider can support your technology goals. Next, you want to understand which providers offer the best quality of service clients. Finally, you should compare vendors like Verizon, Allied Telecom, Cogent, XO, and Atlantech Online based on the value of services offered. Access reviews of the top local vendors in The 5 Best Telecommunications Companies in the Washington DC Metro Area. 1. Is the vendor facilities-based or a reseller? Many telecommunications vendors, especially smaller providers, aren't actually providing a service. They operate on a reseller model which involves leasing and reselling another company's network resources. Resellers typically charge a markup on services, and their lack of control over network resources can result in frustration and delays when troubleshooting performance. Facilities-based vendors generally offer greater value and quality of service guarantees. 2. Is their success record verifiable? Carefully vet potential providers for experience and client satisfaction. Ask how long they've been in business, and for case studies of successful client deployments at companies similar to yours. Ensure the provider offers experienced customer support 24/7/365 to ensure access to first-call resolution. 3. Is their service excellent? The best telecommunications vendors go above and beyond to provide customers with the best service possible. Ask providers for examples of times when they went above and beyond to meet client needs. Signs of quality support can include expert service representatives, multimedia customer support resources, and a full menu of business communications options. Deploying SIP or UCaaS is a better approach to telecom service than PRI for the majority of businesses. Except for rare use cases where organizations need to continue using PRI Circuits, cloud communications tools offer more simplicity, flexibility, and cost control for contemporary organizations. 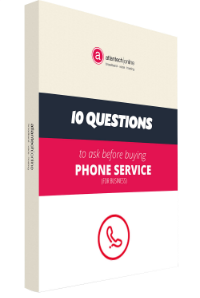 To learn how to find the best telecom provider and service for your needs, download the free eBook: 10 Questions To Ask Before You Buy Phone Service For Your Business.